Yu-Gi-Oh! TCG Event Coverage » Sunday’s Dragon Duel Top 4 at YCS Salt Lake City! Home > 2018/03 - Salt Lake City, UT, Yu-Gi-Oh! 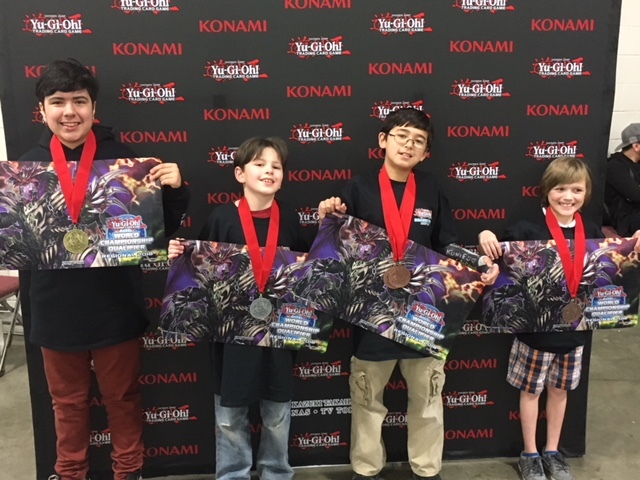 Championship Series	> Sunday’s Dragon Duel Top 4 at YCS Salt Lake City! Sunday’s Dragon Duel Tournament is finished! Check out the 4 young Duelists who made it to the top! Winners of the 3 vs. 3 Team Tournament! ATTACK OF THE GIANT CARDS!! Winner #2!